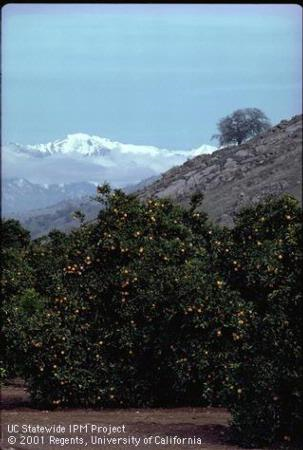 Please join us for the 7th Annual Citrus Field Day, designed for citrus growers and citrus industry representatives. Pending approval, we will be offering 5.0 hours of California Continuing Education Credit for Pest Control Advisers (PCA). If you download the Bové Dedication pdf file, there is a link near the top of page 3 that will redirect you to the video interview of Prof. Bové. This is the video that we could not show during the meeting due to audiovisual technical difficulties. You must download the pdf for the link to be active. The link is not active when simply viewing the publication online. The keynote speakers are working on their contributions. These will be available shortly and we will send another email announcement when they become available as well. sIn the bottom left corner is the Search box for finding authors and topics of the abstracts. Wildlife and people have been in the news lately. Perhaps you've heard of coyotes wandering in your neighborhood. You might have also read about how you shouldn't feed wildlife. Did you know they are connected? It's a problem when people feed coyotes either intentionally or unintentionally through uncovered garbage and outdoor pet food. Available food may encourage coyotes to associate closely with humans and to lose their natural fear of us. These interactions will be discussed during a special symposium on urban coyotes at the 27th Vertebrate Pest Conference. The Vertebrate Pest Conference is held every two years, mostly in California. This year, the meeting will be Monday through Thursday, March 7 to 10 in Newport Beach. Meetings are held in cooperation with the Pesticide Applicators Professional Association (PAPA). The leading authorities with vertebrate management expertise from around the world congregate to present the latest research and extension information. Are you an animal control official, wildlife manager, agricultural producer, pest control adviser, consultant, educator, researcher, or natural resource manager? Then this meeting is for you. California Department of Pesticide Regulation and California Department of Public Health continuing education units are available for participants. Special symposia include bird management, wild pig management, and urban coyotes. In Cooperative Extension Advisor Niamh Quinn's backyard of extremely urban Southern California, these coyote-human conflicts occur. With over 3 million people in Orange County, 8 state parks and beaches, countless city parks and 19 county parks and wilderness areas, conflicts with urban coyotes are bound to happen. Managing coyotes includes managing people's behavior too. Quinn says, “We can't manage what we can't measure. This conference provides a unique opportunity to discuss ongoing conflicts, especially those related to urban coyote management. Research is needed to understand urban coyote behavior and if these behaviors are changing as a result of the way we are currently living. Outreach is needed to instruct urbanites on appropriate behavior where coyote conflicts are occurring, and managing coyotes is everyone's concern. We need better and improved strategies for measuring and managing these conflicts.” At the Vertebrate Pest Conference, hear from the experts on the latest information about coyote attacks on humans, coyote conflicts, and several talks on coyote management, including hazing. Vertebrates are also problematic in commercial agriculture. A 2011 survey of wildlife damage by Cooperative Extension Specialist Roger Baldwin, stated agricultural losses from wildlife damage in California is likely in excess of $1billion annually. Based on the survey results, economic losses were greatest for voles and pocket gophers in alfalfa; and wild pigs, birds, and ground squirrels in nut crops. 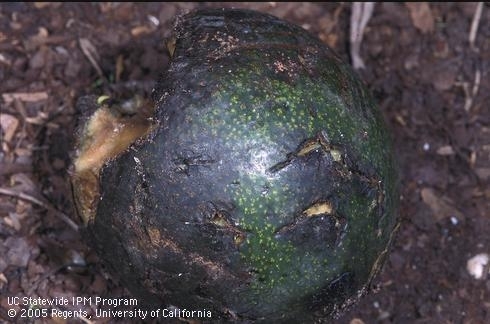 One talk at the Vertebrate Pest Conference will be a North American overview of bird damage in fruit crops. Other talks cover field rodent repellents, food safety, and trapping. UC IPM has information on vertebrate pest management for urban and communities, as well as commercial agriculture.